The Gathering is an annual event designed to bring the sickle cell community together. It’s focused on celebrating warriors, parents, family members, friends, and caregivers, those who fight on the front lines daily the battle against sickle cell disease. The Gathering is an annual event designed to bring the sickle cell community together. It’s focused on celebrating warriors, parents, family members, friends, and caregivers, those who fight on the front lines daily the battle against sickle cell disease. The mission of the Gathering is to encourage participants to live vibrantly with sickle cell, achieve all their dreams and potential while managing their health. All are invited who are directly impacted in some way by sickle cell disease. All ages are welcome. 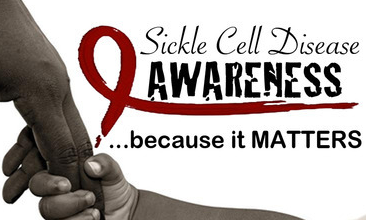 Dealing with sickle cell is something we often do alone, with very little help. But the Gathering gives us all It won’t be just fun and games. This year’s program promises to be an enriching, educational experience. The topics for the Gathering have been carefully selected by topics requested by the members of the sickle cell community. All facilitators and participants are warriors, just like you. On Thursday evening, we have a can’t-miss session that teaches everyone about the science of sickle cell to help understand what is really going on in our bodies. The half-day symposiums on Friday and Saturday address coping strategies for every aspect of your life, including dealing with work, school, family, and relationships. We have two simultaneous sessions, so whether you are a warrior, parent or caregiver, there is bound to be a session you learn from. We have a session that details how to manage with hospitalizations, from both sides of the coin. We will have sessions that address the emotional impact of sickle cell, discuss alternative remedies, and even debate current treatment options. We even have After Dark sessions that discuss taboo topics; an opportunity to share our collective experiences, learn together, share together, and form lasting bonds and friendship. Those who attended the Gathering last year found it enjoyable, educational, and gratifying. One great theme was the fact that we are not victims in isolation, living in silence and sadness. The Gathering brings us all together to share our experiences with others who have also walked in the same shoes.